Here's an easy way to spread Christmas cheer: Write a letter to Santa for charity. 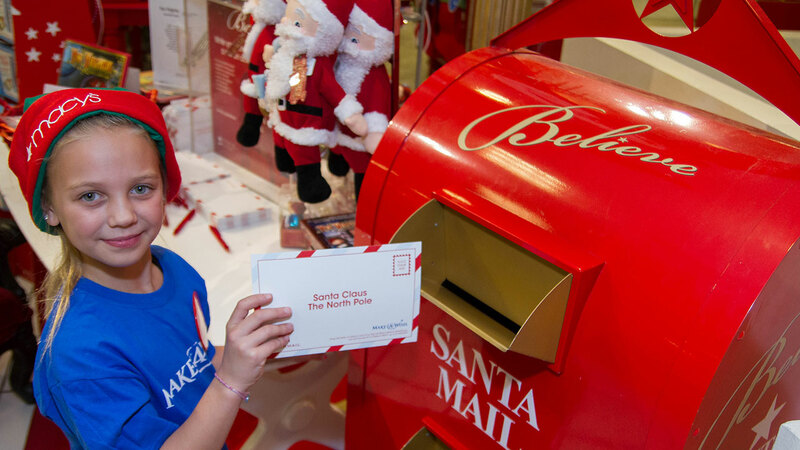 Now through Dec. 24, when you write a letter to Santa and send it through Macy's Believe campaign, the department store will donate $1 to the Make-A-Wish Foundation. The campaign is inspired from the story of 8-year-old Virginia O'Hanlon, who wrote a letter to the New York Sun newspaper in 1897 asking if Santa exists. The editor's reply began, "Yes, Virginia, there is a Santa Claus. He exists as certainly as love and generosity and devotion exist." To participate, write a physical letter when you visit a Macy's store or go to the Believe website to write your letter online. It doesn't have to be a wish; you can also write a message of hope and Christmas cheer. Make-A-Wish uses the money to grant wishes to kids with life-threatening medical conditions.